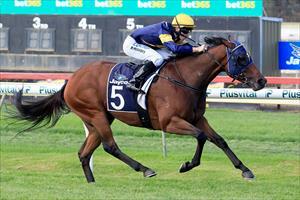 Milwaukee is the only runner for Ballymore Stables on Melbourne Cup day at Flemington. Milwaukee runs in race three, the Lavazza Short Black over 1400m with Patrick Moloney to ride. The four-year-old son of Fastnet Rock won his last start at Sale and Mike Moroney is delighted with the way Milwaukee has trained since. “He’s bounced through that race in great shape and we’re very happy with him,” Moroney said. “It is possibly a little quick on the back-up but he is showing all the signs he is ready to go again. “It looks a strong race as you would expect but I have always thought he is a horse with Group potential. “One thing in his favour is the race does not look to have an abundance of early speed so we are anticipating he can settle handy.